Executive creative director Mariana O’Kelly from Ogilvy Johannesburg will be leaving the South African agency in June to take up a new position in Ogilvy’s global operations in Chicago, Illinois in the United States. O’Kelly will move to one of the largest offices in the Ogilvy network, where she will serve as global executive creative director on all work for SC Johnson, the agency’s largest global client. O’Kelly has been acknowledged as a leading creative in South Africa and on the world stage. She recently won the Industry Leader of the Year Award, at the Financial Mail Adfocus Awards 2018. "We’re so proud of Mariana’s latest achievement," says Alistair Mokoena, CEO of Ogilvy South Africa. "We’re sad to see her go, but we wish her well on this next stage of her stellar creative career. Her absence will be felt, but we know we have the people to fill her shoes – largely because Mariana has done so much to develop talent at our agency." O’Kelly’s creative leadership has helped secure Ogilvy’s position among the most highly regarded creative teams, with the agency named Creative Circle’s top-ranked South African agency for two years running. During O’Kelly’s time at Ogilvy, her team won 62 globally recognised awards, including three Cannes Grand Prix Awards. She serves on Ogilvy’s Global Creative Council and was recognised by the Gunn Report as the 12th best performing ECD in the world. O’Kelly says, "I am looking forward to the new challenge and creating more inspiring work for our clients. I’m sad to be moving on, but I’ll be leaving an incredibly talented team that’s more than capable of delivering more award-winning work to help our clients achieve their goals." "I’m grateful for every person I have learned so much from over the last nine years at Ogilvy. I wouldn’t be here without the team that has surrounded me," adds O’Kelly. 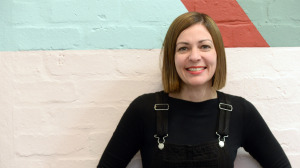 In her more than two decades as a creative, O’Kelly has created award-winning work for large global brands like KFC, Castle, Mondelez, Investec, Kimberley Clarke, MTV, Multichoice, Virgin, BMW, Mercedes Benz and more. "That our people are so sought after, together with our ongoing success at global events such as Cannes, confirms that we deliver world-class work and develop world-class people," says Pete Case, the chief creative officer of Ogilvy South Africa. Case says that O’Kelly securing the new role was the latest example of many previous Ogilvy creatives to be headhunted to work at the top level of global advertising. "Unfortunately, that makes our people highly sought after. Mariana, we’ll miss you, but we’re incredibly proud of you, and we wish you the best of Ogilvy good luck on this new adventure," Case concludes. For more information, visit www.ogilvy.co.za. You can also follow Ogilvy South Africa on Facebook or on Twitter.